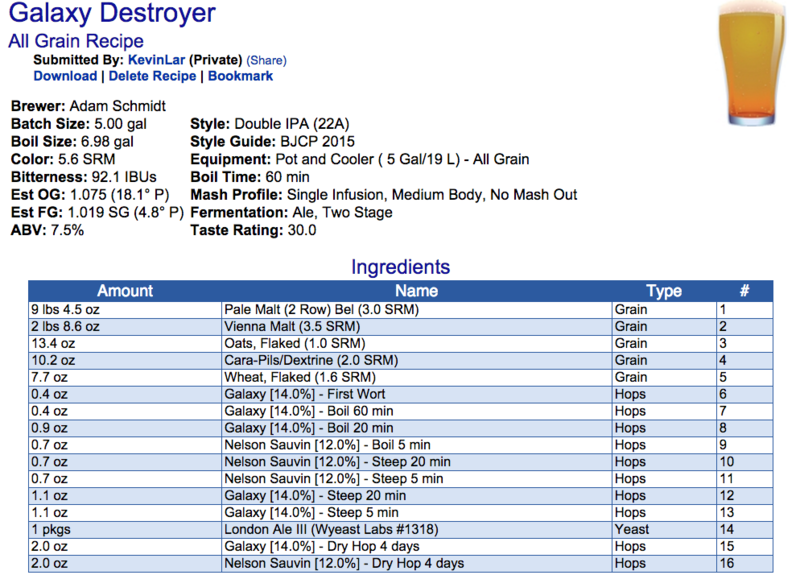 Congratulations to Adam Schmidt for winning the clubs vote for his Galaxy Destroyer IIPA. This beer is extremely tasty and refreshingly hoppy. BREW IT NOW! Hop stand at flameout. FO = Hops added directly at flameout. FO2 = Hops added about 15-20 minutes later when temp had dropped to 180F. Total hop stand time 25 minutes.